Physiotherapists have specialised skills in assessment, diagnosis, and treatment of disorders of human movement and function. The physiotherapy service is available for inpatients and outpatients across a wide range of clinical areas. 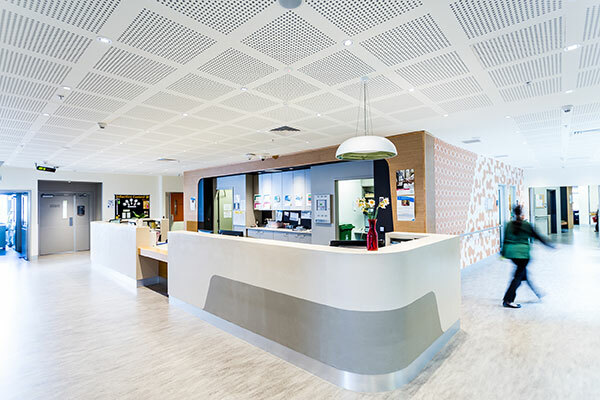 The Werribee Mercy Hospital Physiotherapy Service provides comprehensive assessment, diagnosis, treatment, rehabilitation and prevention of disorders of human movement and function in a wide range of areas. These include neurological, musculoskeletal, cardiovascular, women’s health, neonatal and geriatrics. Inpatient services are provided to patients on acute medical and surgical wards, maternity and neonatal, palliative care, general and geriatric rehabilitation wards, and to the bed-based transition care program. 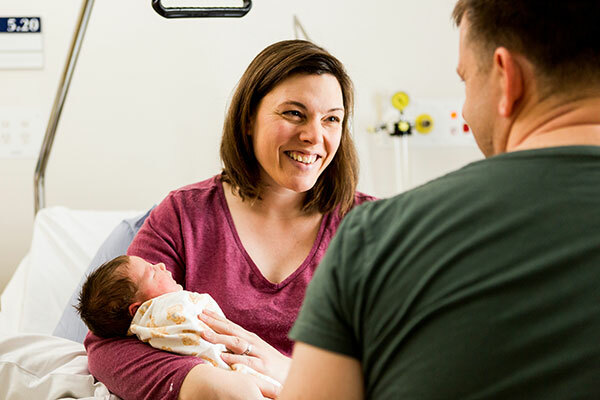 Outpatient services are provided to clients with musculoskeletal and orthopaedic conditions and clients requiring pre- and postnatal care. Groups are offered for back care during pregnancy, DRAM (stomach muscle separation) and postnatal education. HIP provides community-based programs designed to help clients improve their health. 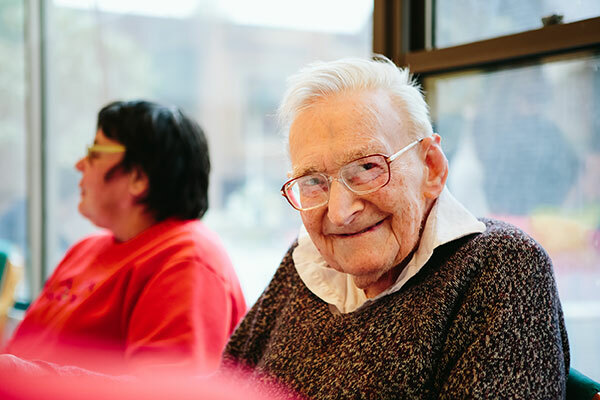 The HIP program offers community and home-based rehabilitation, specialist clinics (falls, balance and continence), complex care (formerly known as HARP) and residential inreach. The physiotherapy outpatients department is located in the main hospital building. The physiotherapy outpatients department is located at private consulting suites in the main hospital building. There is a ramp for wheelchair access through the private consulting suites. Depending on the reason for your visit, this checklist can help you prepare. next specialist appointment date (e.g. fracture clinic). 2. Write down any specific questions you may have to ask your physiotherapist. toys or books for children who are attending the clinic with you. walking aid e.g. crutches (if you have them). Standard physiotherapy outpatient appointments are usually 20-30 minutes long. All patients are given a specific appointment time, however sometimes delays can occur. Plan to arrive 10 minutes before your first appointment to allow time to complete any necessary paperwork. Are there any alternate options for treatment? Are there any services or resources available to support my recovery? Based on the assessment, your physiotherapist will discuss the expected duration of treatments. You will be reassessed on each visit to check your progress. On discharge, we will communicate with your doctor/ referrer regarding your progress. If additional community physiotherapy is required, your physiotherapist will discuss this with you and refer you to other external service providers if necessary. Inpatient services are provided to patients on the acute medical and surgical wards, maternity and neonatal, palliative care, general and geriatric rehabilitation wards, and to the bed-based transition care program. • patient with complex needs who requires multidisciplinary input. This resource can help your patient find a private physiotherapist in your local area. IPC Health is one of the largest providers of community health service in Victoria. IPC Health provides a diverse range of services to the community including general medical and dental services, home-based aged care, family services case management, alcohol and drug counselling, gambler’s help counselling, generalist counselling, financial counselling, acquired brain injury (ABI) case management and ABI community-based recreational programs, allied health therapy services and health promotion. IPC Health is one of the largest providers of community health service in Victoria. IPC Health provides a diverse range of services to the community including general medical and dental services, home-based aged care, family services case management, alcohol and drug counselling, gambler’s help counselling, general counselling, financial counselling, acquired brain injury (ABI) case management, ABI community-based recreational programs, allied health therapy services, health promotion.